I was excited to have the opportunity to attend the Grilled Cheese Meltdown last weekend at SPiN Chicago. I've been to a few Time Out Chicago events and it's always a good time along with it being very well-organized. 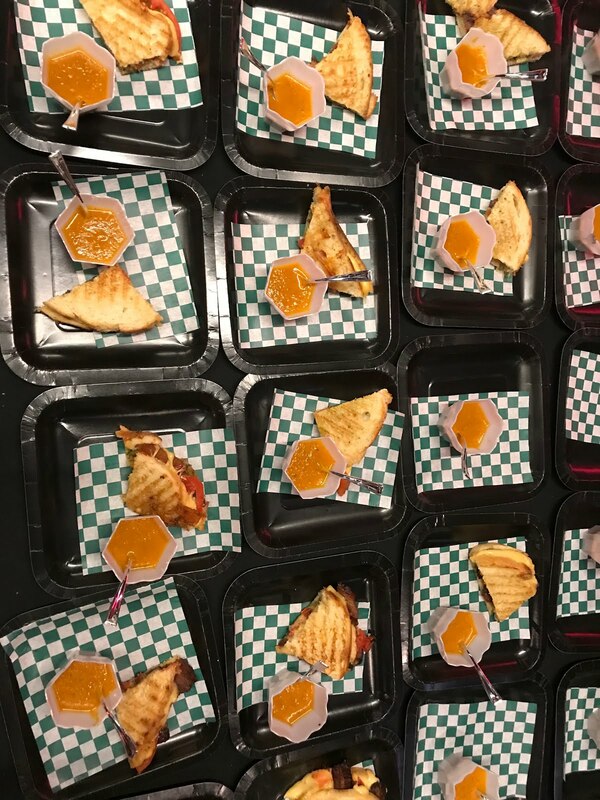 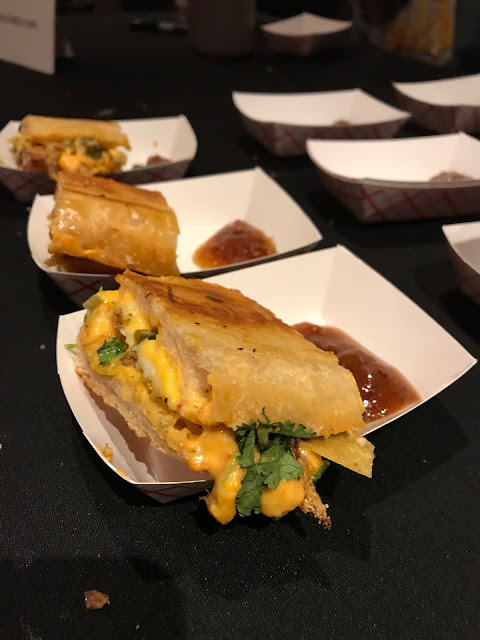 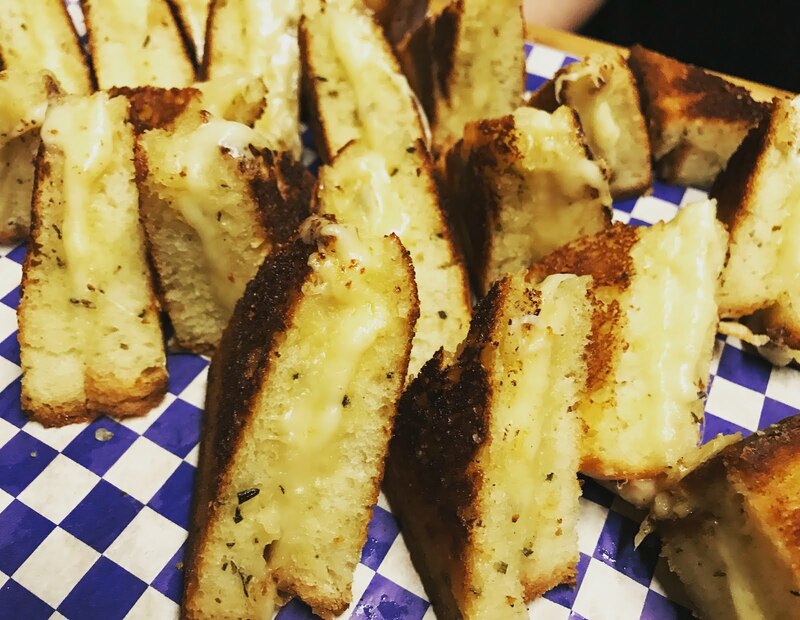 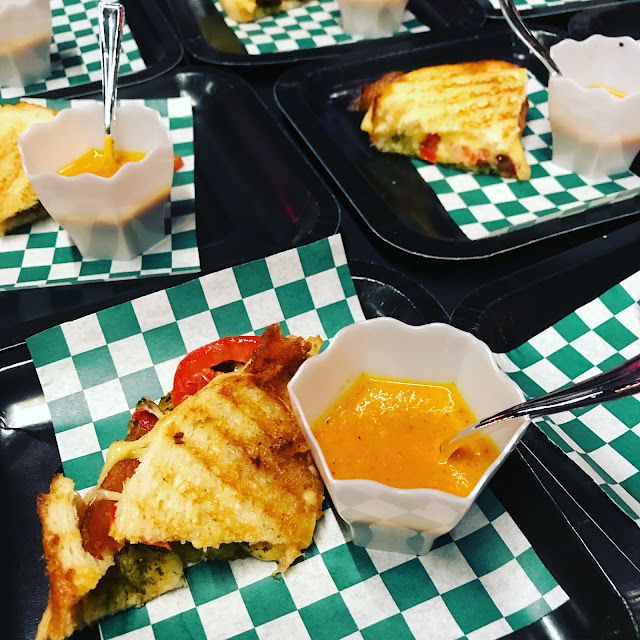 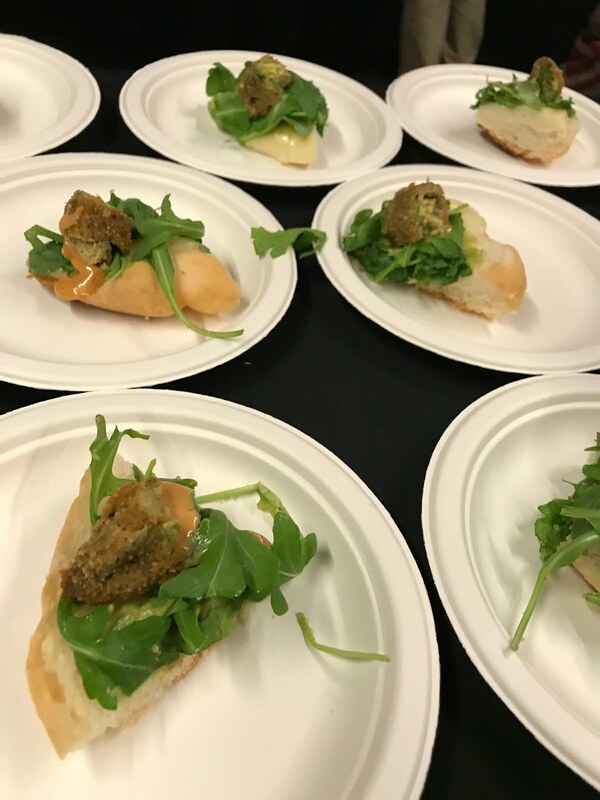 Nine Chicago eateries prepared grilled cheese entries for the competition, where each attendee made their way from table to table to sample the different variations of this classic sandwich. 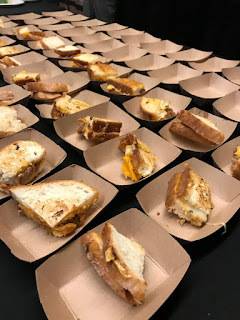 There were some very creative and flavorful sandwiches - some with several types of cheese, some with veggies, some with different meats, some with spicy jalapeños and a variety of other ingredients, from pesto to sauces to jams. 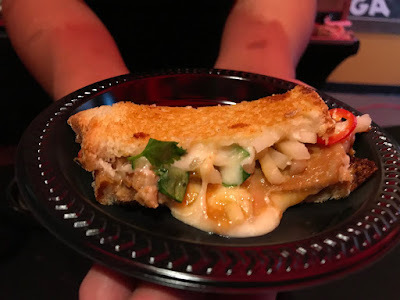 Some definite favorites of mine were the Community Grilled Cheese by Community Tavern with fontina and gruyere with fresh jalapeño, cornichons, blueberry jam and arugula, the Bad Hombre with Oaxaca cheese, arugula, fried avocado and chipotle mayo on telera bread from Son of a Butcher by Whisk and Gayle's Best Ever Griled Cheese's Margarita Grilled Cheese with fresh baked white sourdough, fresh butter, butterkase cheese, fresh tomato, fresh made basil pesto and bacon with a little taste of Tomato Pesto Soup. 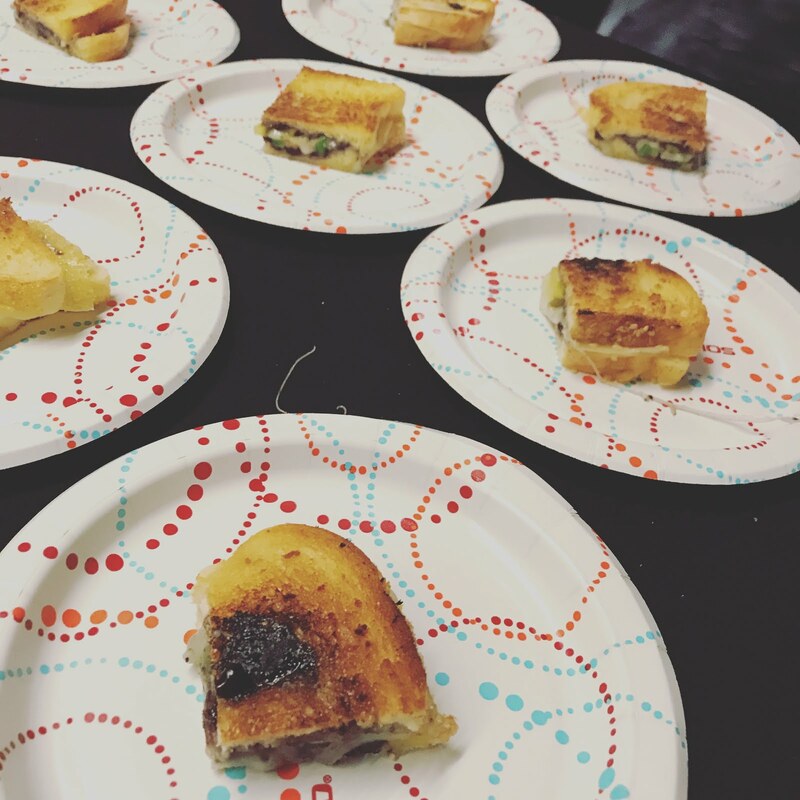 However, they were all amazing and there wasn't any one that I couldn't have sat an eaten an entire sandwich of. There were a couple that had a lot of heat and would have required a couple glasses of water, but everything was pretty fantastic. 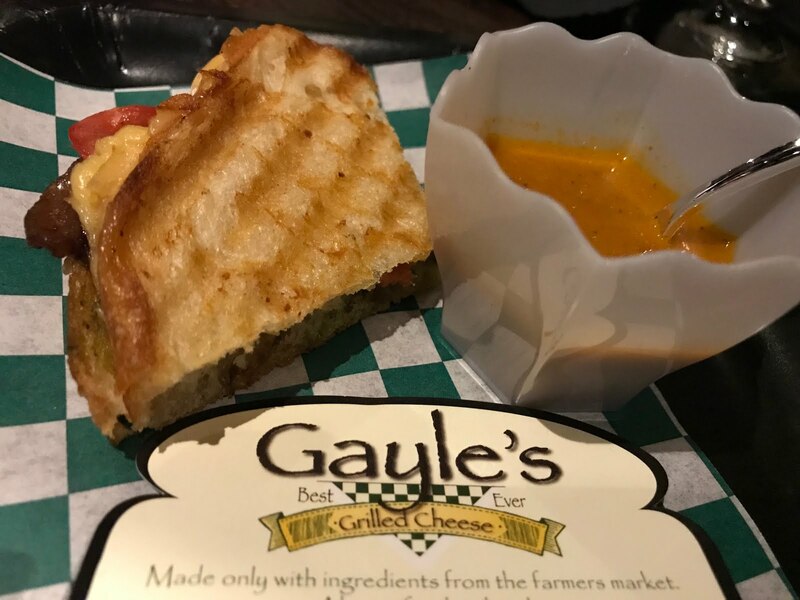 The winning entry from Same Day Cafe. The winner was crowned via crowd votes and Same Day Cafe came out on top with a cheddar and smoked gouda on homemade rosemary bread. 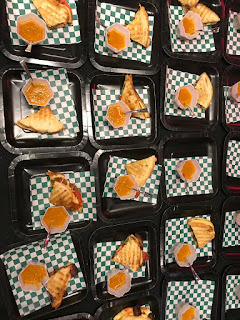 Tickets to the event also included two sponsored drinks. The event had three time slots with each covering two hours, so it was a nice time without a long time commitment. 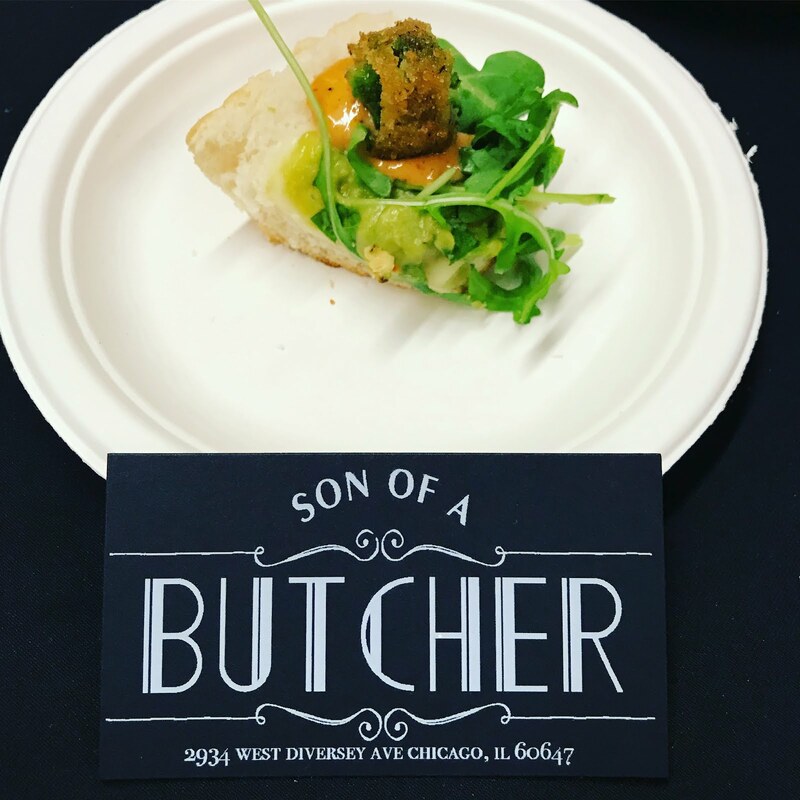 We left full and happy and looking forward to the next Time Out Chicago event.